MT Secure Trade Limited is a company registered in Malta (registration number C56545) holding address GB Buildings, Penthouse, Watar Street, Ta Xbiex Phone: + 356 2133 7578 . They are licensed by the Malta Gaming Authority under licence numbers MGA/CL1/954/2014 and MGA/CL1/955/2014, UKGC – Gambling Commission of Great Britain for with reference number 39575 and Curacao under N.V. Secure Trade is regulated by the Government of Curacao under license no: 1668/JAZ (CEG-IP/2014-0110). Sites Owned by Mt SecureTrade Limited: Dunder Casino, Guts Casino, Instacasino, Cashmio, Rizk Casino, Shadowbet Casino and Mobil6000! Join Dunder Casino and get 20 free spins no deposit required on Starburst video slot powered by Netent. Any winnings from the free spins are subject to a 25 times wagering requirement. Get up to £/€600 + 180 free spins on your first 4 deposits if you are ready to play with real cash! Click here to join Dunder Casino! Welcome Bonus Package £/€200 + 5000 Seeds! 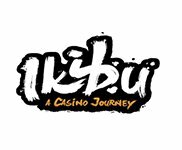 Start your adventure on Ikibu Casino which has a unique concept, based on a volcanic island with monkey like creatures! Get a match deposit bonus of 100% deposit match up to £/€100 + 2500 Seeds on your 1st deposit and 50% deposit match up to £/€100 + 2500 Seeds on your second deposit! Seeds can be traded with great offers including free spins and other lucrative bonuses. Click here to join Ikibu Casino! My winnings are not paid Rizk . I deposited money and in the meantime they added a welcome bonus. However when i withdraw the money Rizk is unwilling to pay me due to i have breach the bonus policy. According to Rizk my stakes are too high..this is new to me.i never received any pop ups and secondly i cant understand why i cant bet higher stakes. According to the Rizk rules thw maximum stake is £5. This total rip off..i do understand that rizk gave me a welcome bonus but i played with my money .how can they say the bonus is a part of it and i have breach the policy.normally play with other site and never had an issue.this has caused me unnecessary stress and resolved this issue asap. 15. Until the play through requirements have been met, the maximum bet that can be placed is €5 (50kr, 50SEK, $5, £5). This includes double up wagers after the game round has been completed. For example, wagering winnings from X game round on red/black.